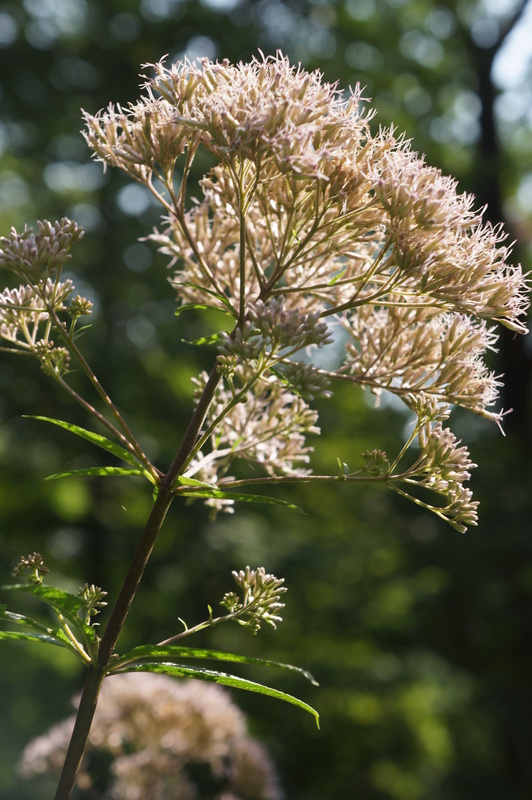 I heard a lot about Joe Pye Weed online. 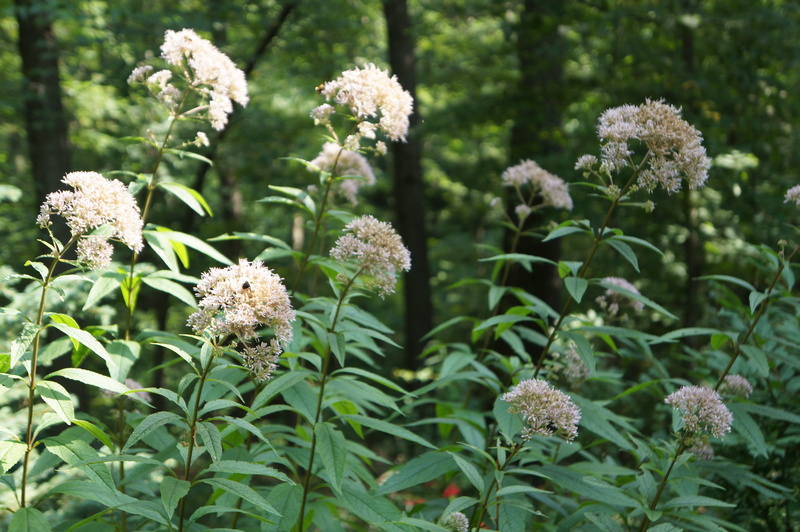 It’s supposed to be a great plant that gets tall (mine is about 5’5″), loves water, and comes back absolutely reliably after even brutal winters. Sounds like my kind of plant! Ok, I’m unimpressed. The blooms are downright ugly. I would say at their peak they look dead. Dead color, dried-up looking, yuck! Ah, but there is a fabulous reason to grow them: they make a great element in a bee and butterfly haven! My plant is covered with bees every day all day. They love this plant. I’ve also seen heavy butterfly activity. Why does every plant I grow have to be a looker to me? Maybe I grow plants to treat the bees and butterflies. They are confronted by poison chemicals just about everywhere, but I like that they are free to enjoy my garden without worry.